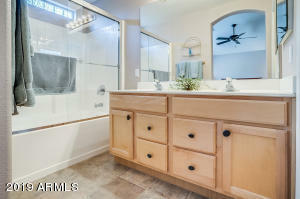 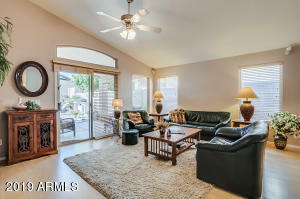 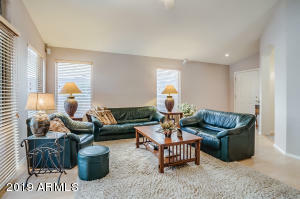 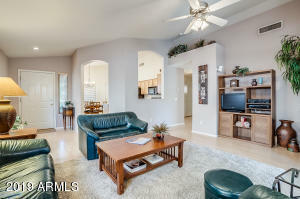 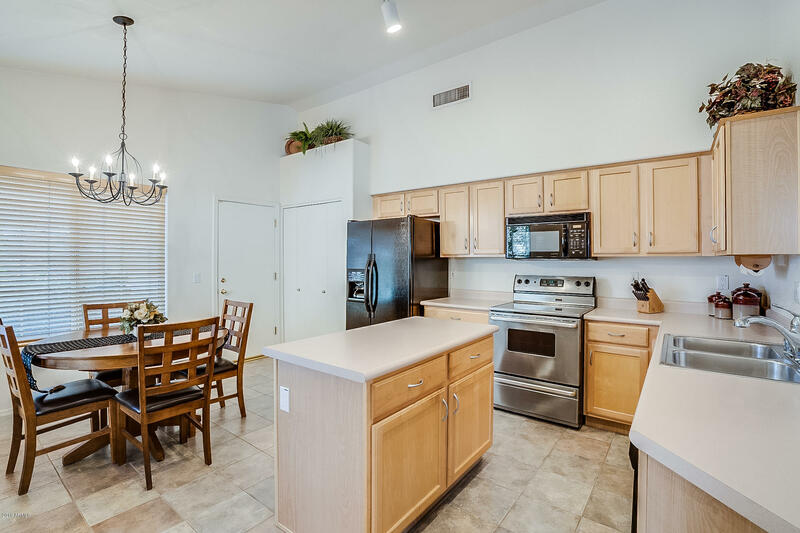 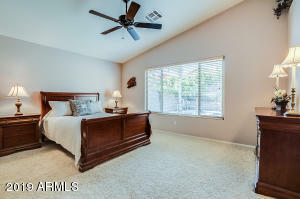 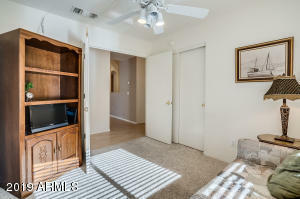 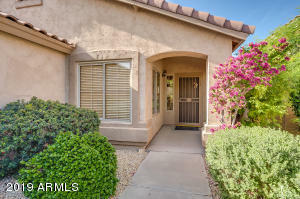 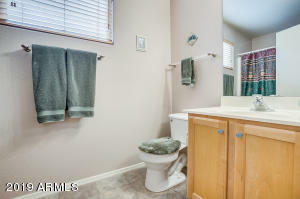 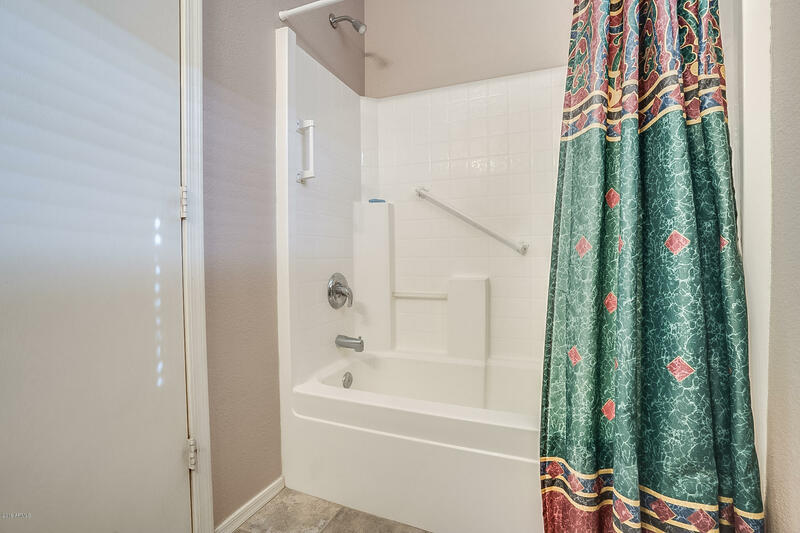 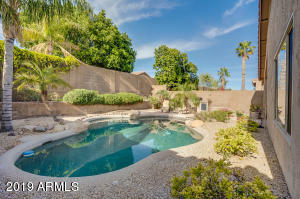 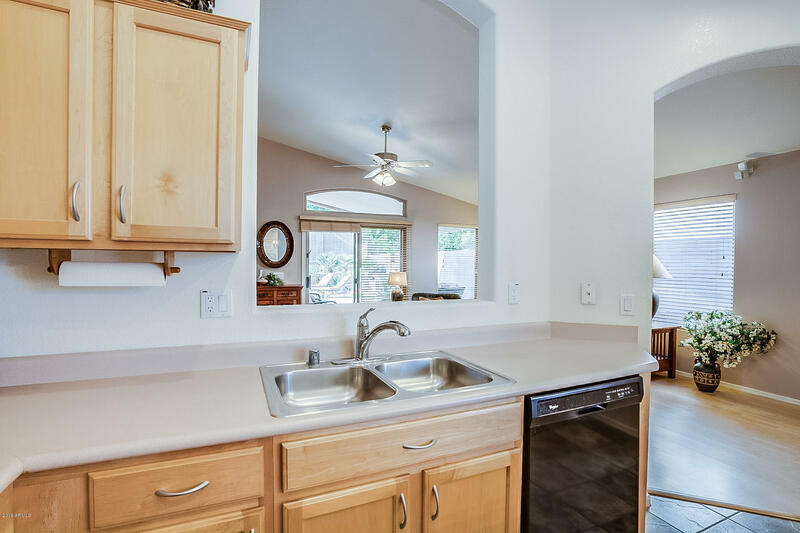 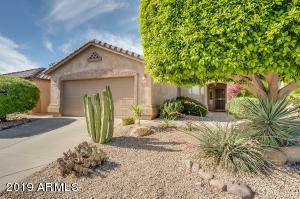 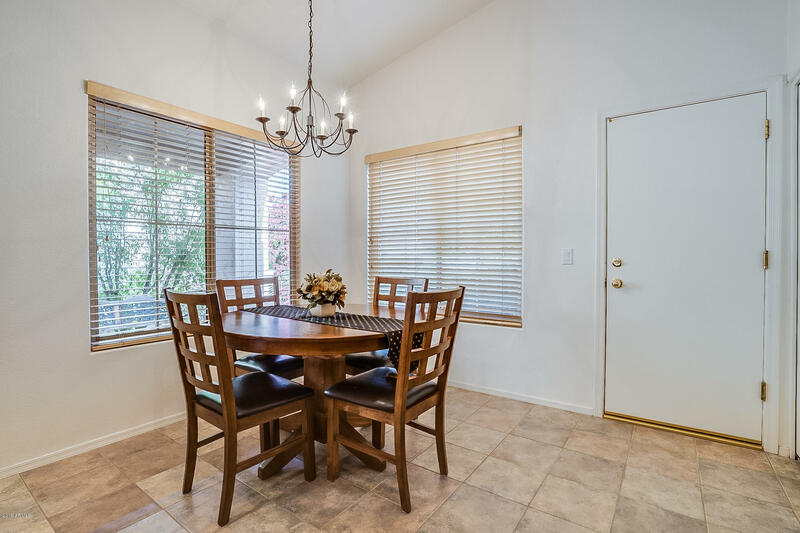 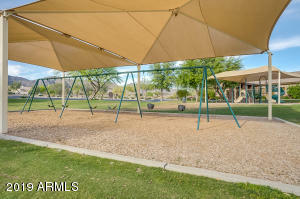 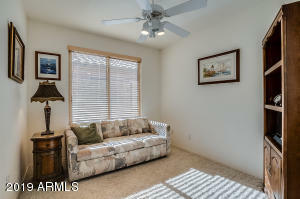 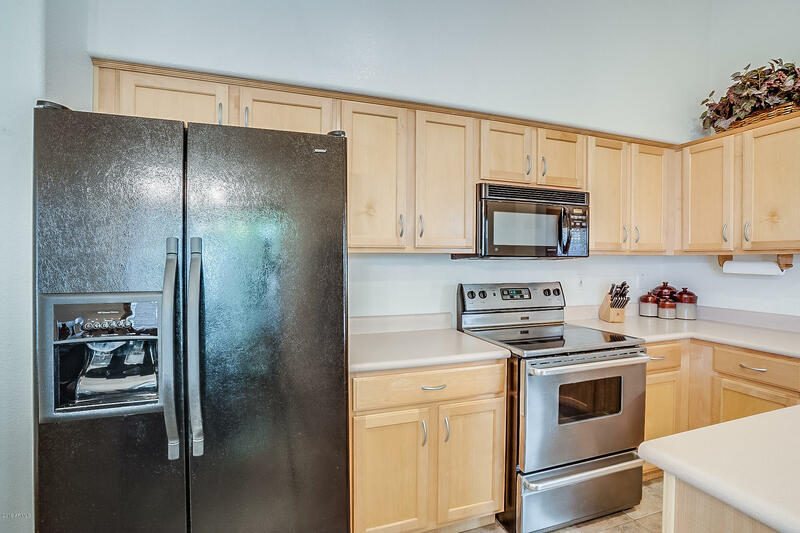 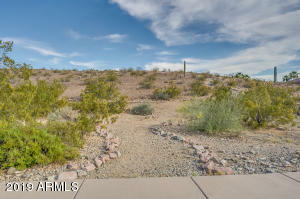 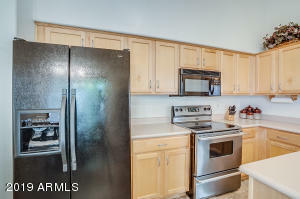 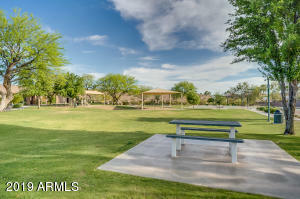 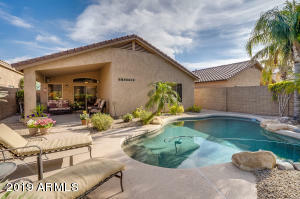 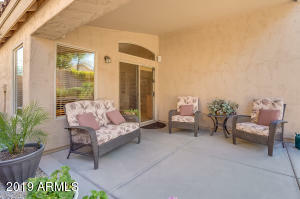 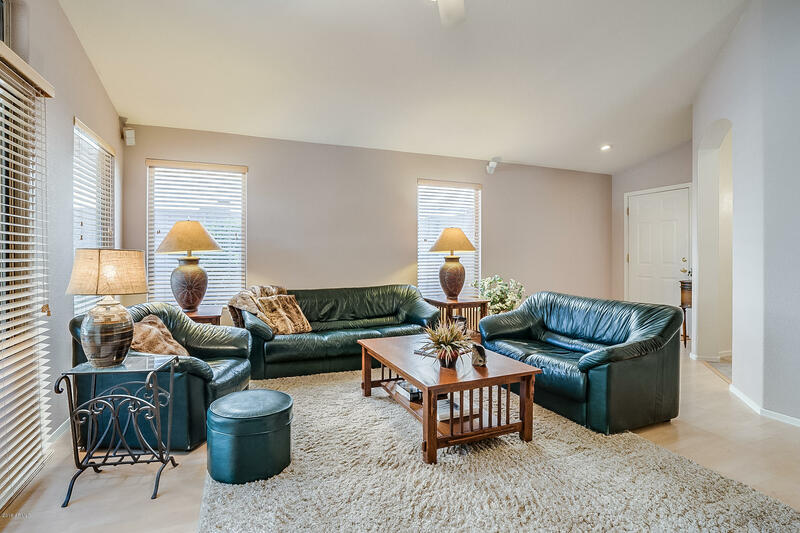 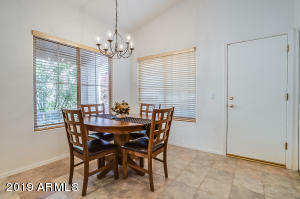 This gorgeous Ahwatukee home features tile flooring, soaring vaulted ceilings, and best of all, no interior steps. 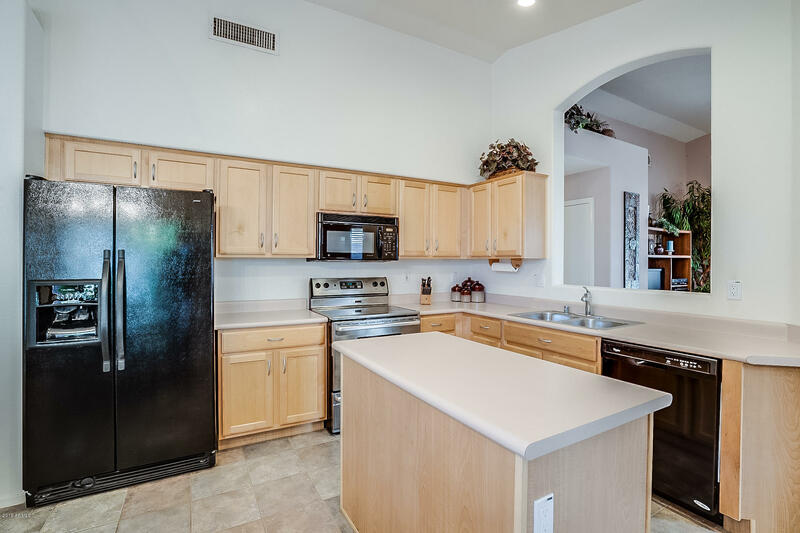 The kitchen, which includes the refrigerator, a pantry, and island with extra prep space and cabinets below for storage, opens to the living room for easy entertaining. 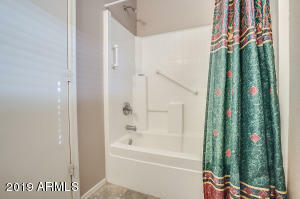 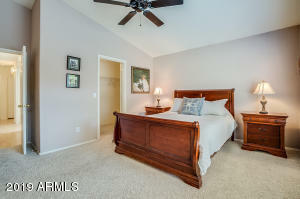 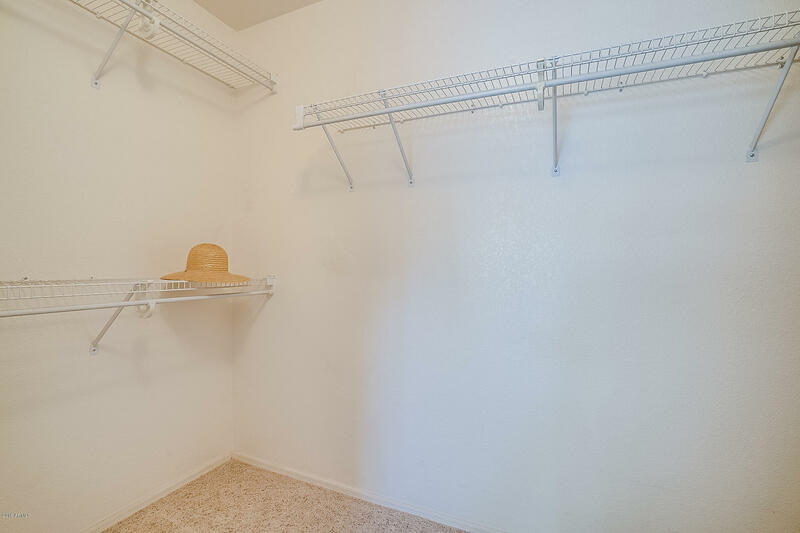 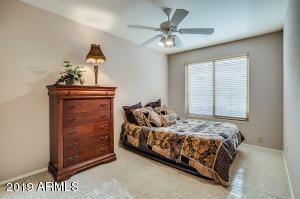 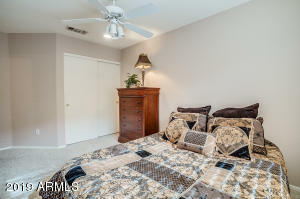 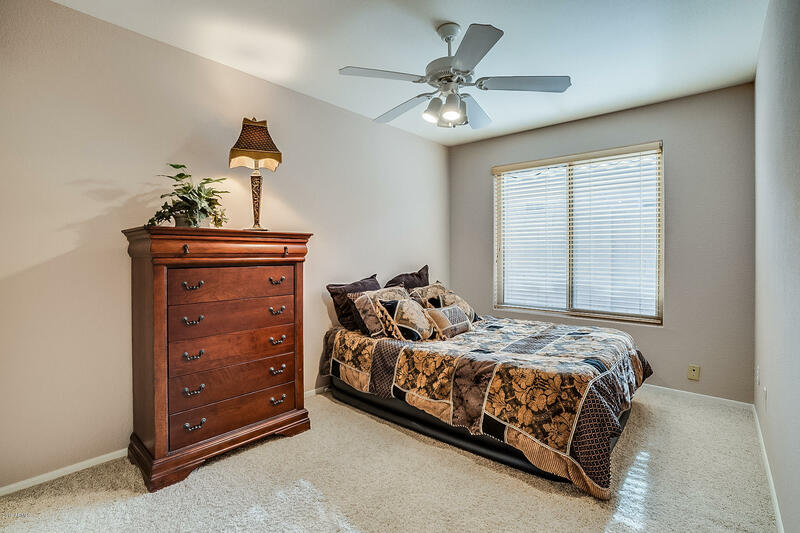 In the master bedroom, you'll love the big window overlooking the back yard and spacious walk-in closet. Two more bedrooms, a full bathroom, and two closets for more storage are just down the hallway! 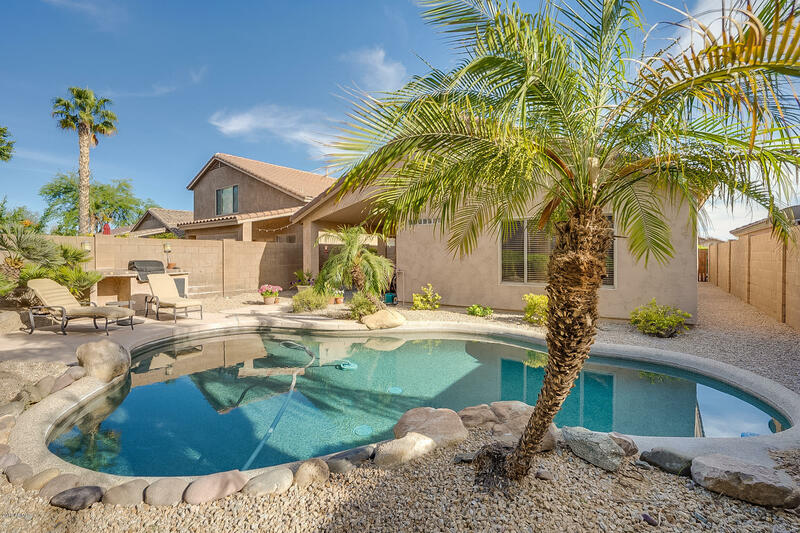 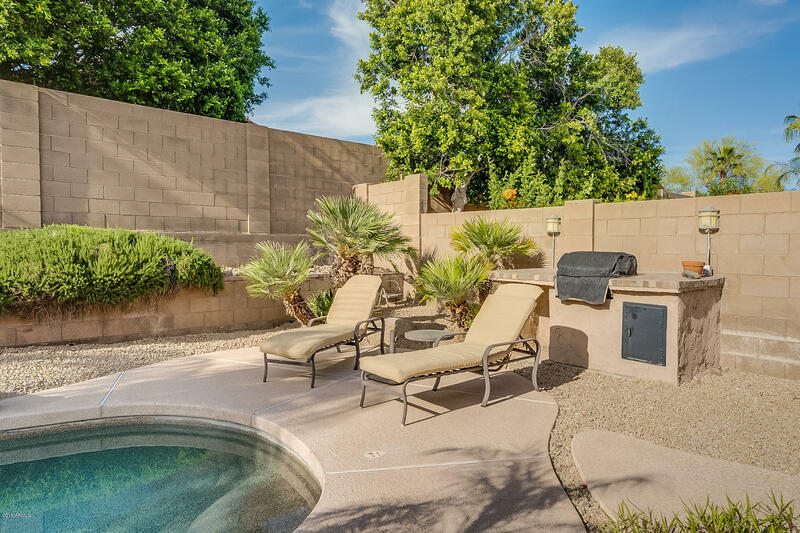 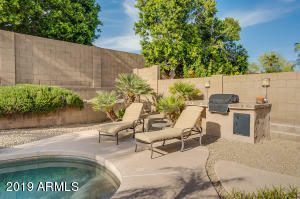 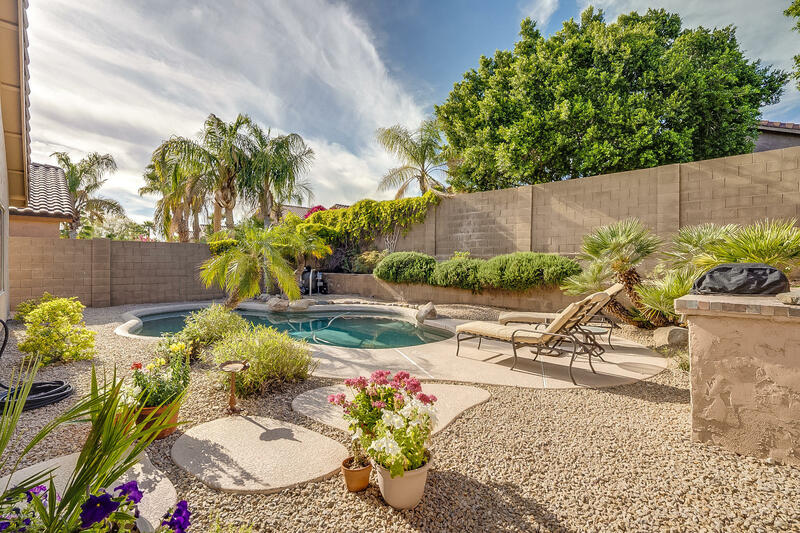 The peaceful back yard has a covered patio with room for plenty of seating, low maintenance yet lush feeling desert landscaping, a built-in BBQ, and an inviting pebble tech pool. 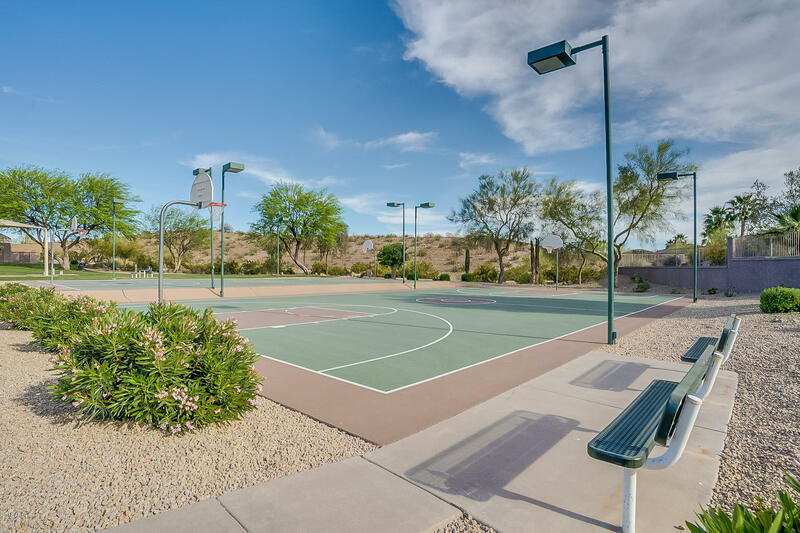 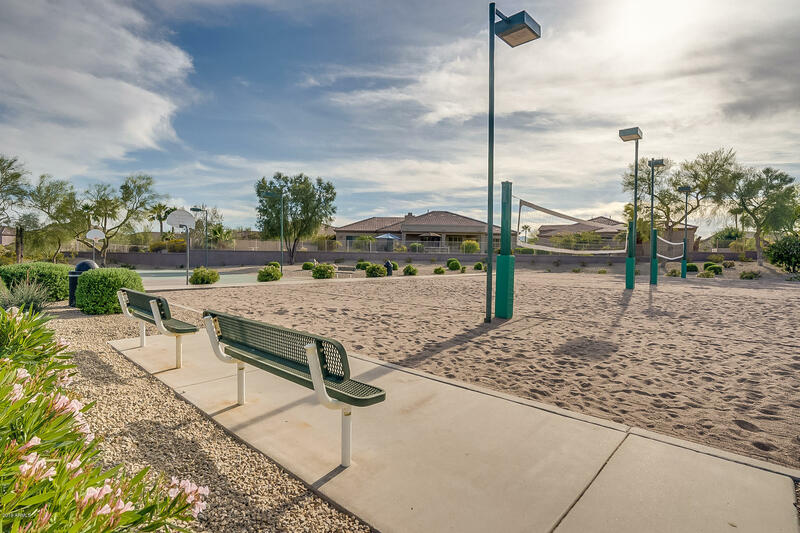 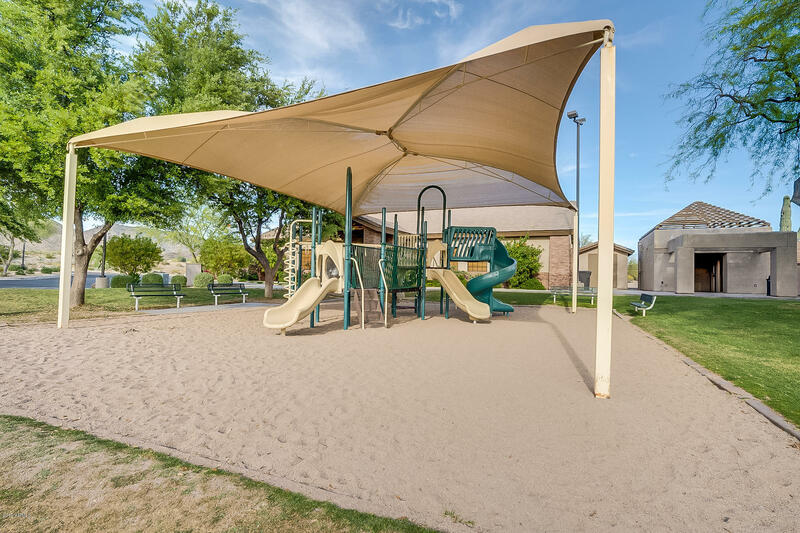 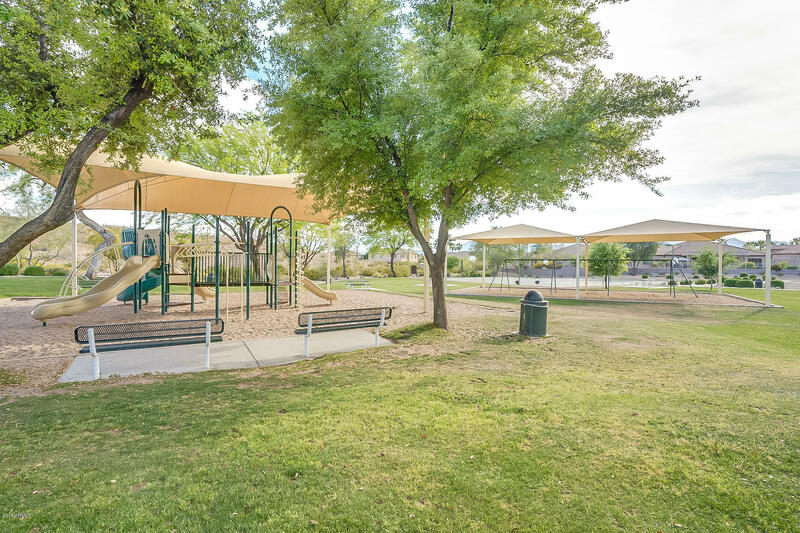 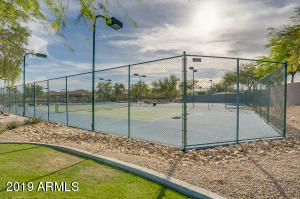 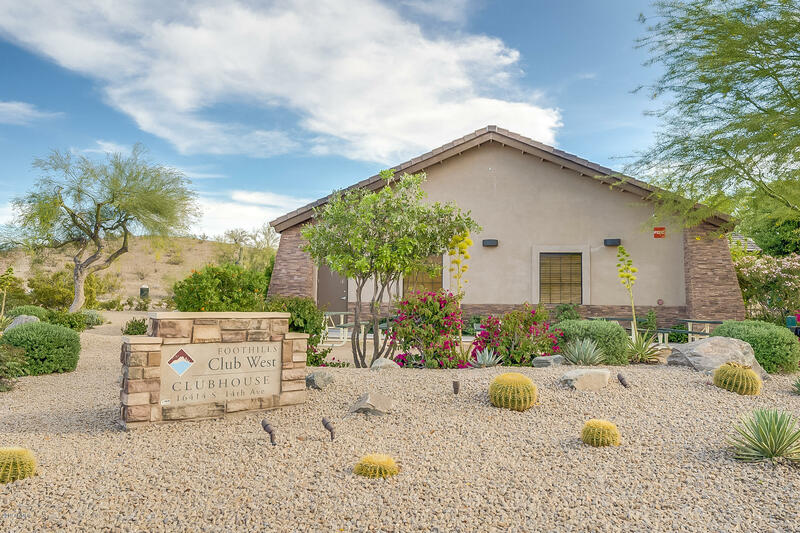 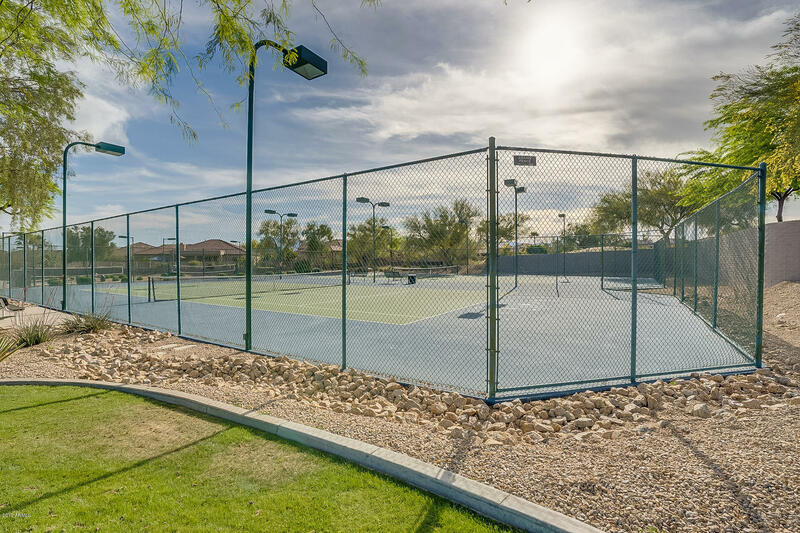 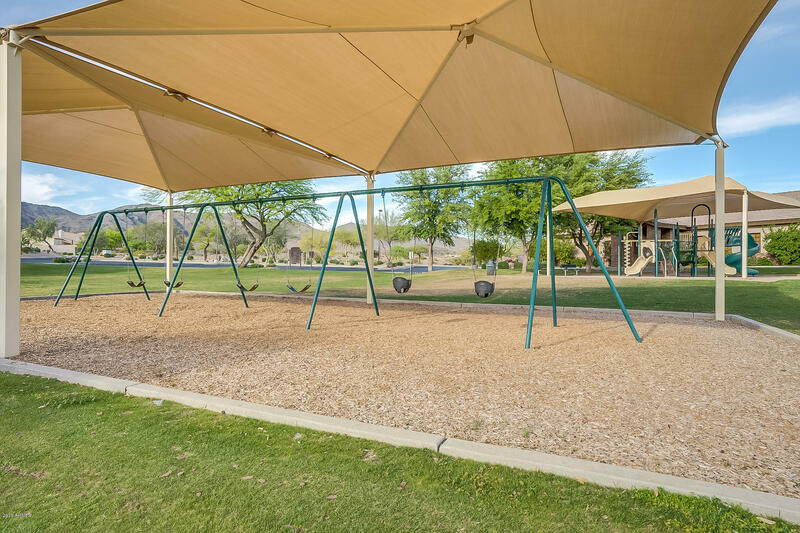 Community amenities include a golf course, clubhouse, grassy park with playground, and tennis, basketball, and volleyball courts!